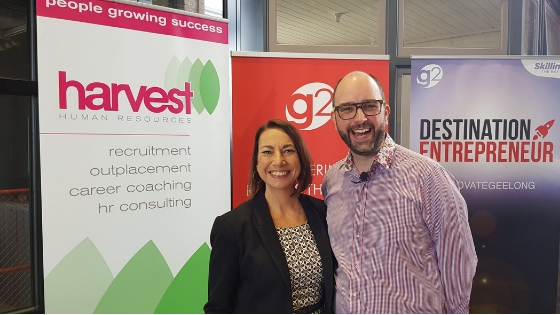 In this month’s Geelong HR Roundtable, guest presenter Andrew Jones from G2 Innovation took us through the power of Design Thinking on the Employee Experience. Here’s a re-cap of the presentation. In a rapidly changing world, what is exemplary today will be the minimum expectations of tomorrow. As employees become more discerning about where they choose to work it begs the questions, what will set you apart from your competitors? How will you attract and engage quality employees? How do you know what your current and future employees are wanting? The answer lies in the adoption and application of Design Thinking supported by the 4 Innovation superpowers. Discover – The most important part of the design thinking cycle. Fall in love with the solution and not the problem! Design – Get lots of ideas and document them all. Don’t fall in love with them yet though or you’ll be falling in love with your solution and not necessarily solving the problem. Develop – create low-fidelity prototypes and test concurrently. If the solutions don’t solve the problem, go back to the discovery phase and fall back in love with the problem. Deliver – Continue to ask yourself if it’s really solving the problem and continue to fine tune your solution. Use empathy to gain an understanding of what employees are wanting, feeling and looking for before they even know themselves. What are their pains and what do they want to gain? Creativity loves constraint. The more constraints you have, the more creative you will be. Ideas are cheap so keep them coming. Add some stimulus to the ideas – jam them together and see how creative you can be. Collaborate with other people and watch the ideas and dopamine flow. Creativity loves company! The word fail gives us an involuntary negative response. The words experimentation and discovery open us up to the world of testing without the negativity. If its works, great! Why? If it doesn’t work? Great! Why? We hope you enjoyed your Design Thinking ‘taster’ and that it has given you some insight into how it can be used to enhance the employee experience, to empower employees and to help develop a culture of innovation within your workplace. 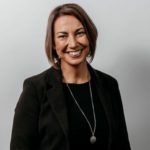 For more information on Design Thinking and how it can play a role in people and culture at your workplace please email Kate at G2 Innovation. *PS we have since found out, when you ask a question at a G2 Workshop, you raise the ‘rubber chicken’ in the air, because, well really, it probably looks sillier than any question that could possibly be asked. Brilliant!